KPMG has made three senior appointments to bolster its deal advisory offering in Yorkshire, after its transaction services practice increased sales by 30 per cent for the second year running. 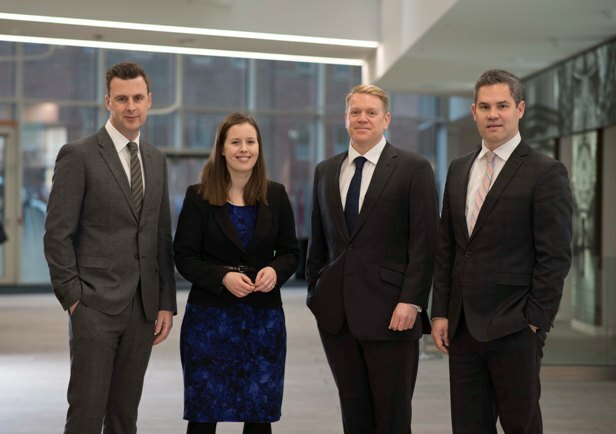 The new appointments, who will be based in the firm’s Leeds office, will help build the support and depth of specialist sector knowledge KPMG provides Yorkshire’s business community. The transaction services practice is one branch of KPMG’s deal advisory offering and advises on all aspects of transaction planning, execution and integration. Simon Wormald joins the practice as a director from another professional services firm, where he spent 14 years advising on a variety of buy and sell side transactions. For the last seven years Simon’s specialised in public and private sector health and social care M&A. He will continue to build this expertise at KPMG, focussing on local and national transactions in the health, social care and healthcare technology sectors. Nigel Hinchliffe has also been appointed to the team as a director, after spending four years in the leisure and gaming industry, where he worked on a number of high profile global transactions. He brings 12 years of M&A experience to the role and, in addition to his leisure and gaming sector focus, is tasked with helping the firm’s transaction services practice grow its footprint in the South Yorkshire market. Completing the trio of appointments is Claire Elcock, who joins as an associate director with 13 years’ experience advising Yorkshire businesses. She’s specifically charged with developing the practice’s offering that supports privately-owned businesses across the region. Christopher Stott, head of transaction services in the North of England at KPMG, said: “The vibrancy of the Yorkshire deals market is testament to the high standard of investors and businesses operating in the region and the health of the advisory community that serves them.